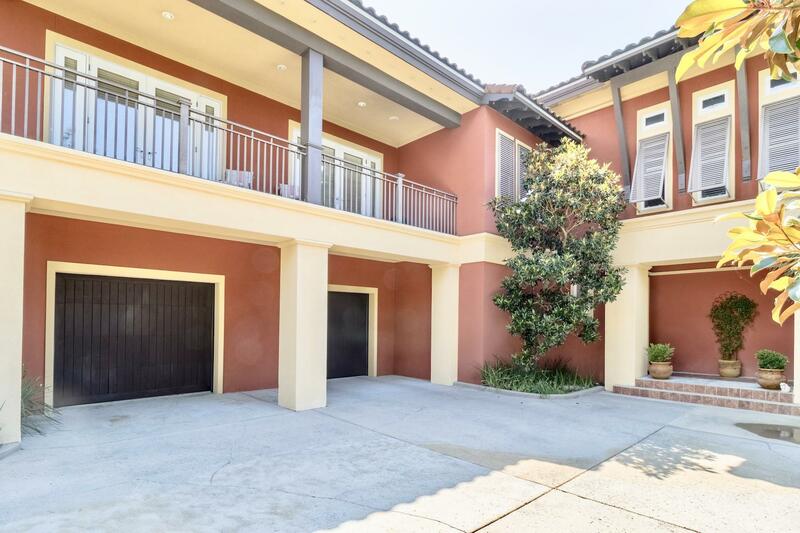 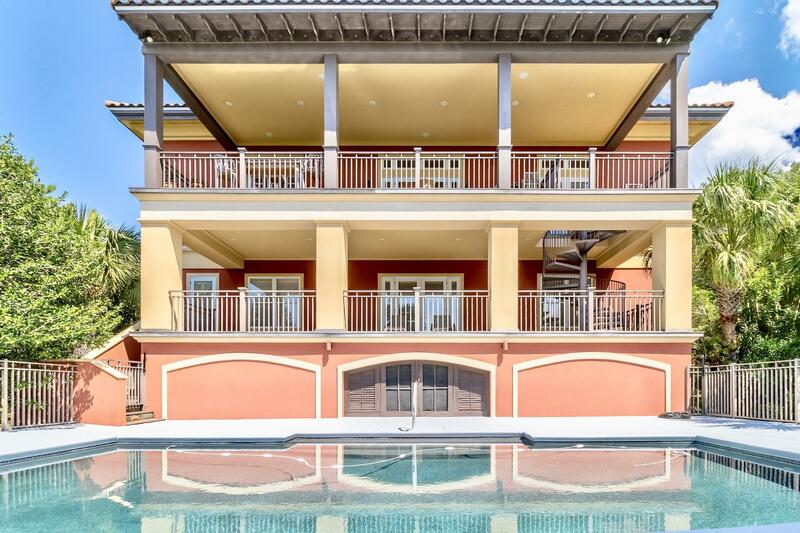 Exceptional quality construction and architectural finishes highlight this Mediterranean/Caribbean style home designed by Geoff Chick and located in the exclusive gated community of Bella Mar at Gulf Place. 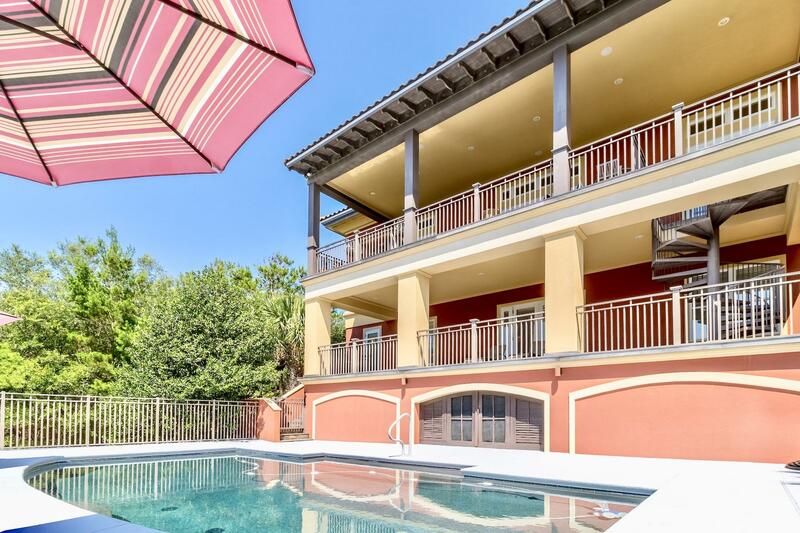 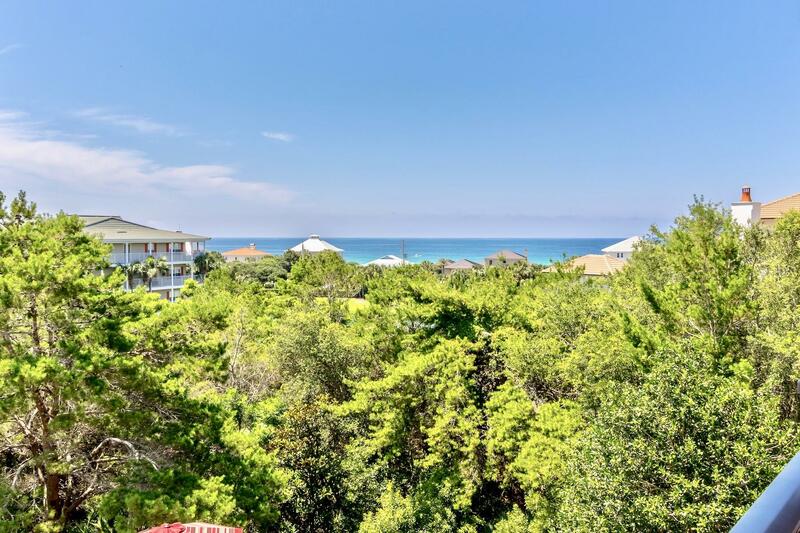 Bella Mar is located just steps across from the emerald green waters and white sugar sand beaches of the Gulf of Mexico and is a non short term-rental community. 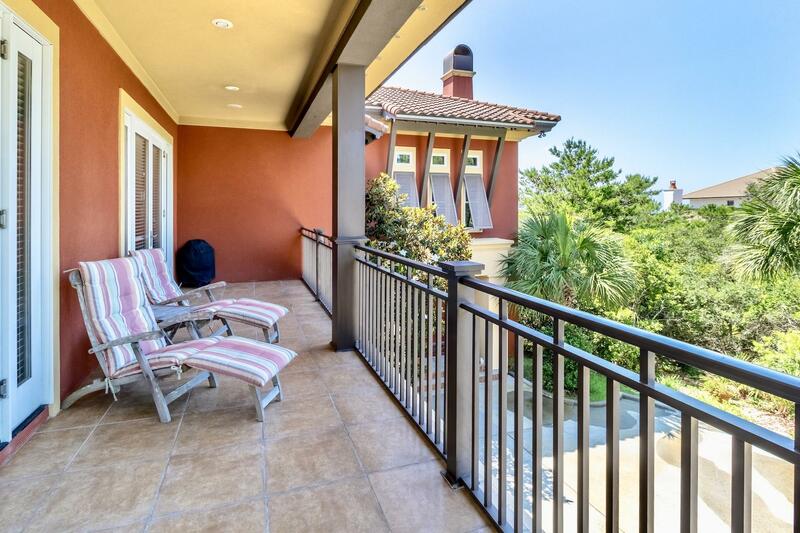 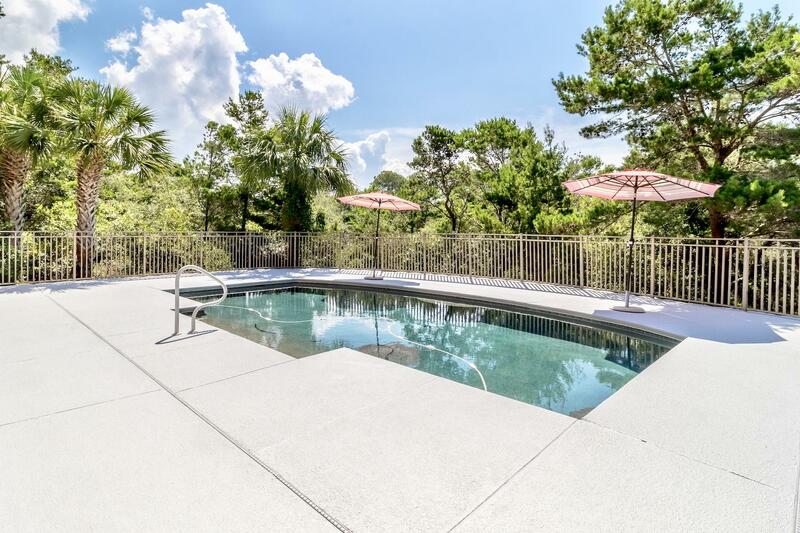 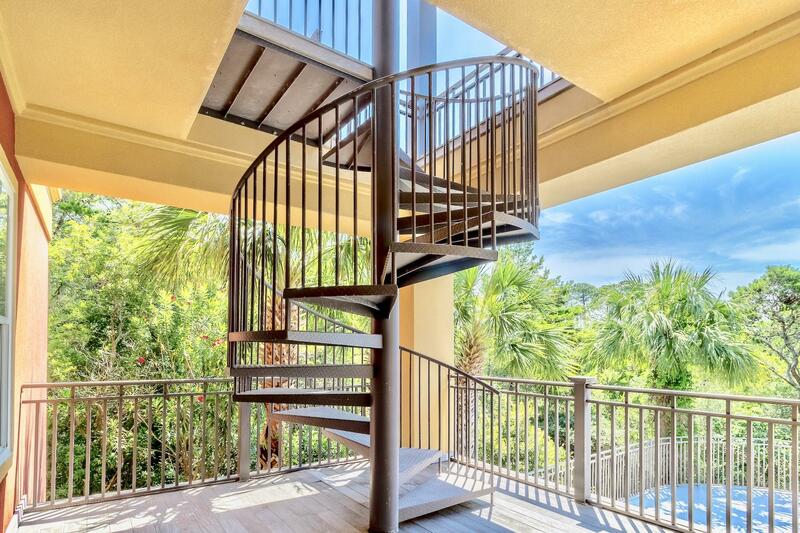 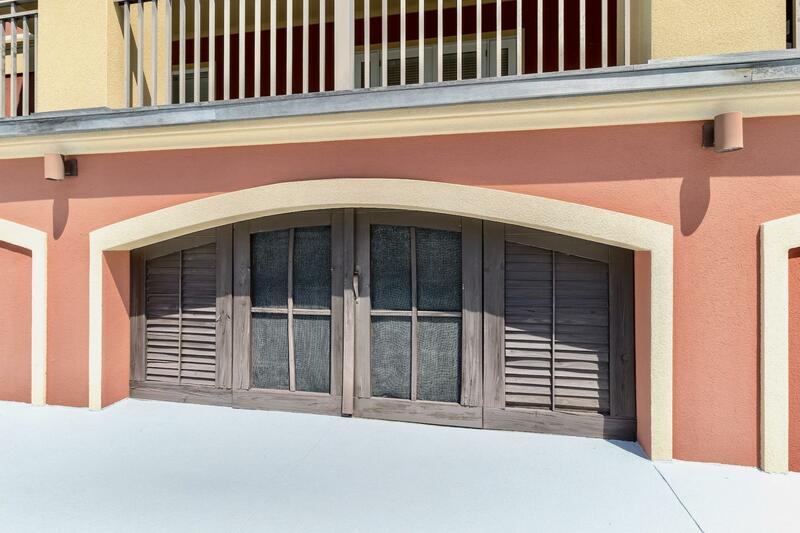 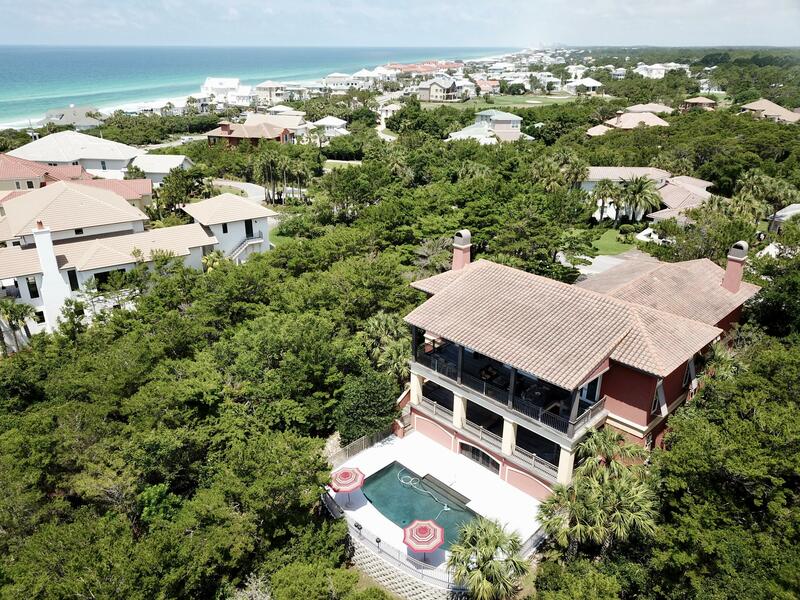 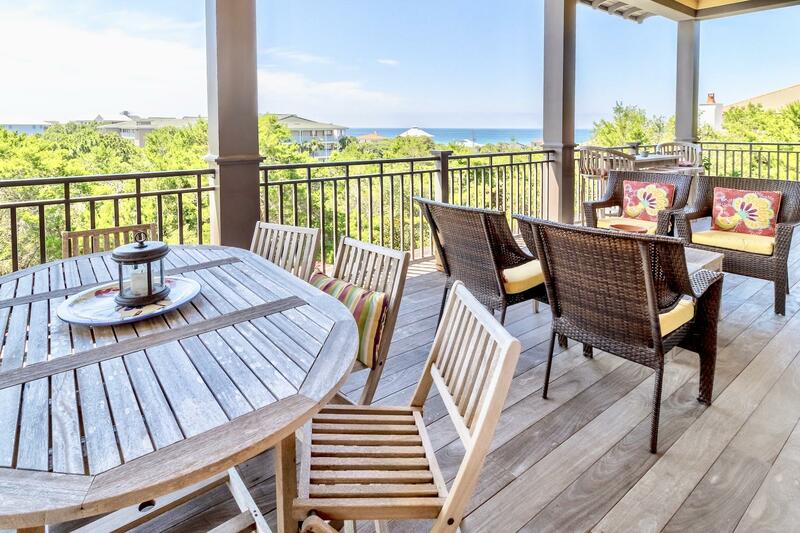 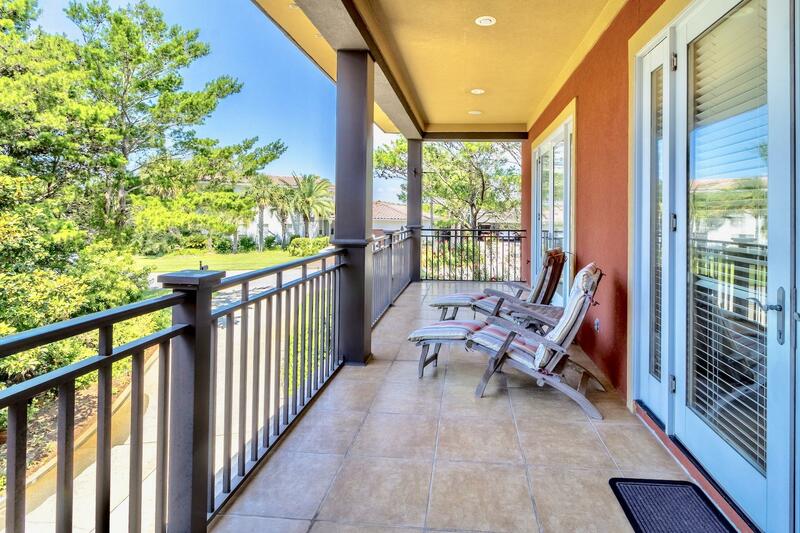 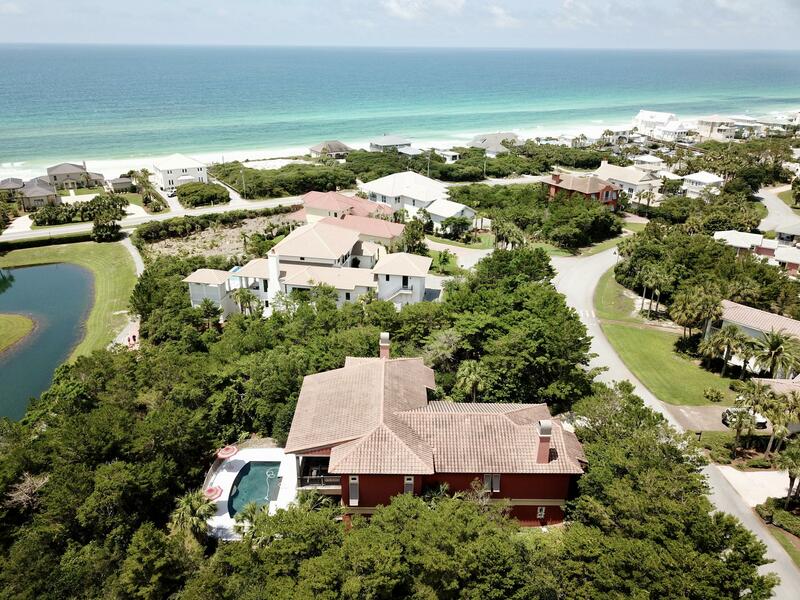 Bella Mar has its own dedicated beach access located directly across Scenic 30A. 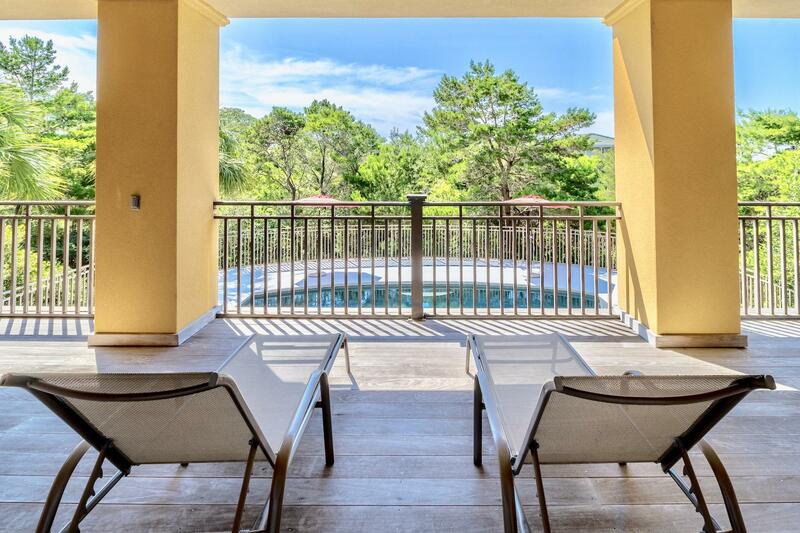 Enjoy your morning coffee on the east balcony overlooking the beautifully landscaped grounds and the elegant ''Black Pearl plaster finish'' pool. 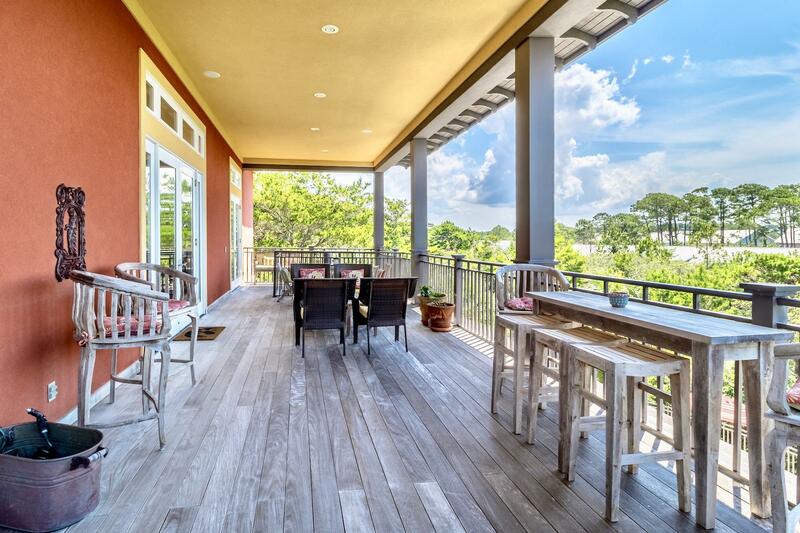 Sunsets are spectacular over the Gulf from the pool deck or from the second level 14-foot deep porch finished with Brazilian Ipe wood. 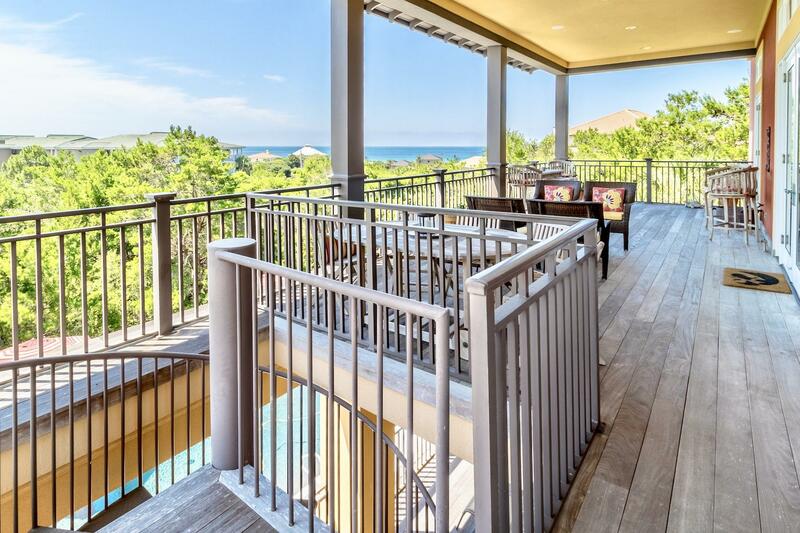 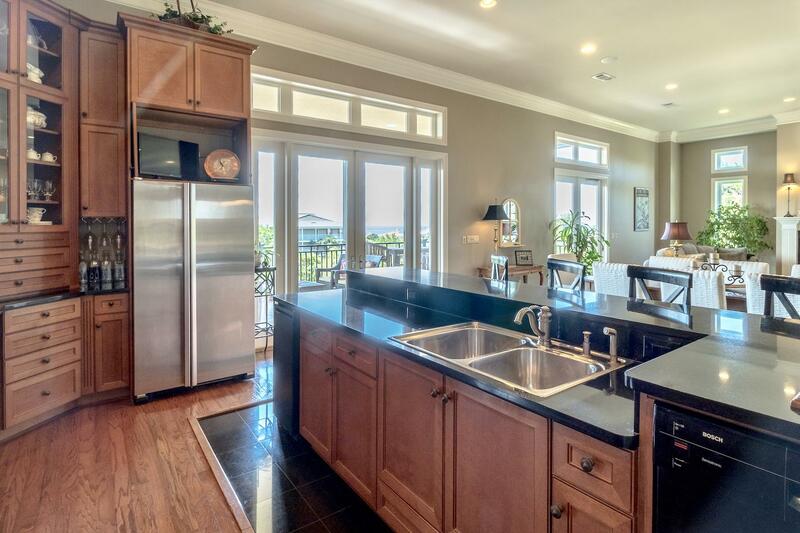 The reverse floor plan is designed to take advantage of the spectacular gulf views. 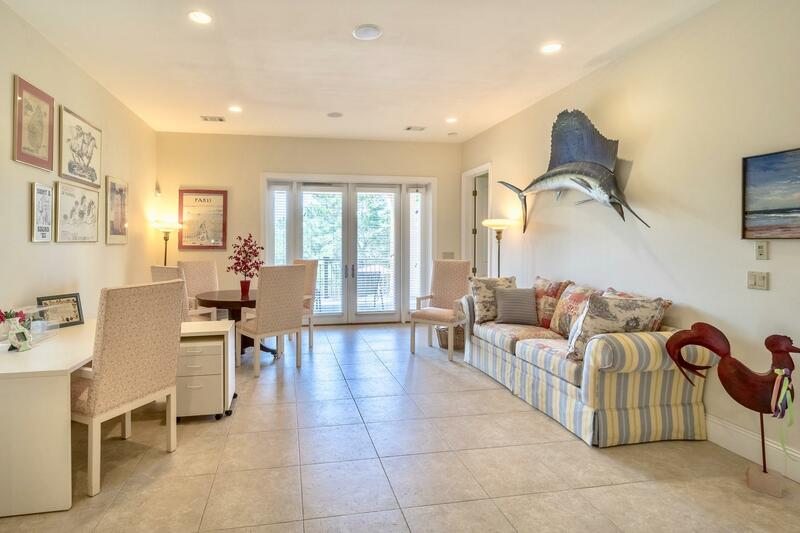 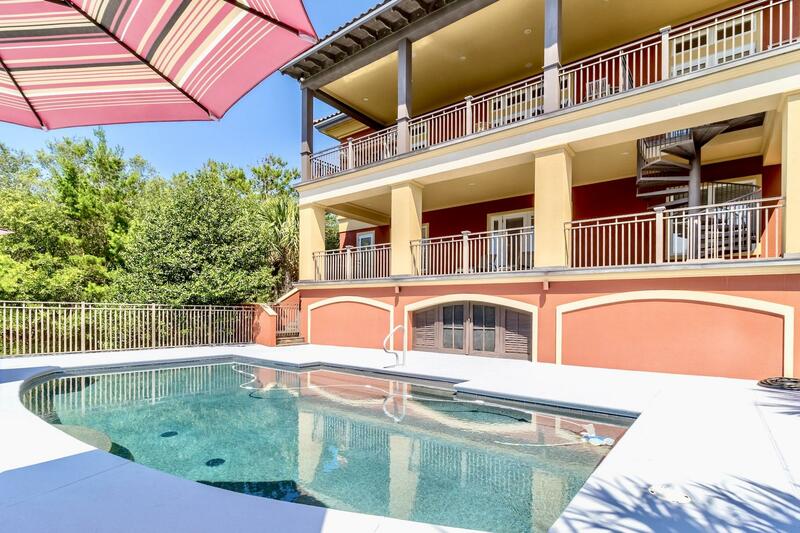 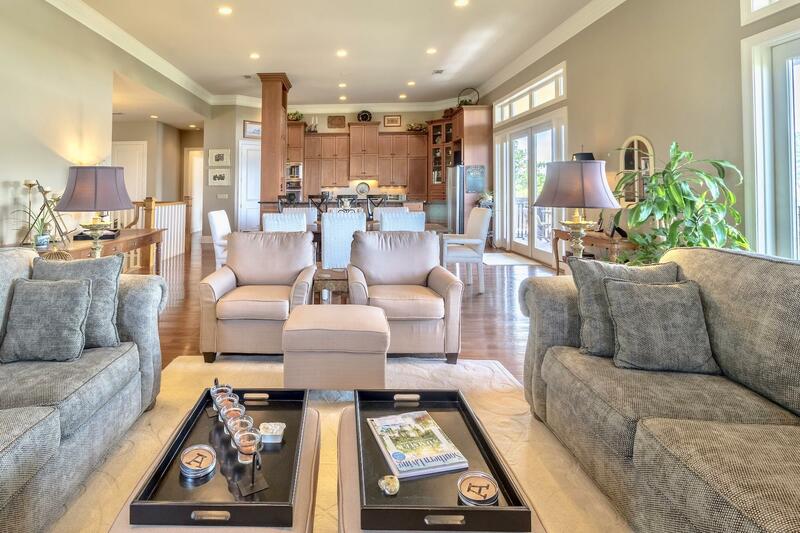 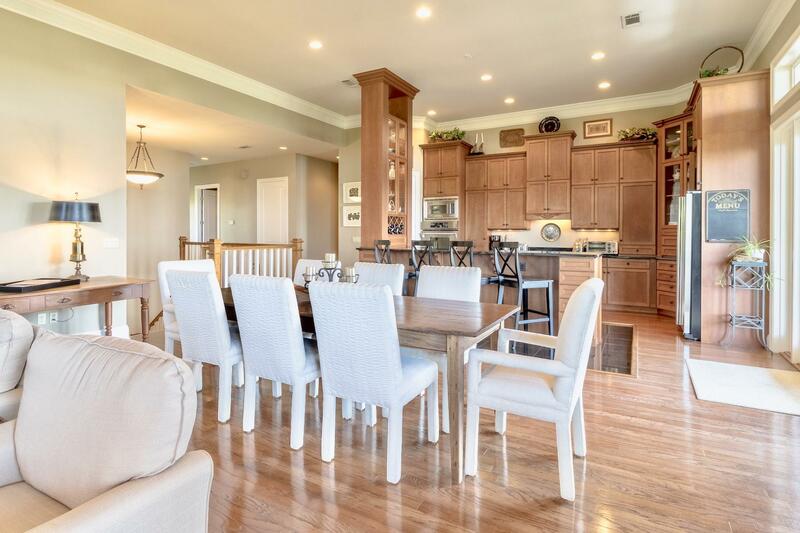 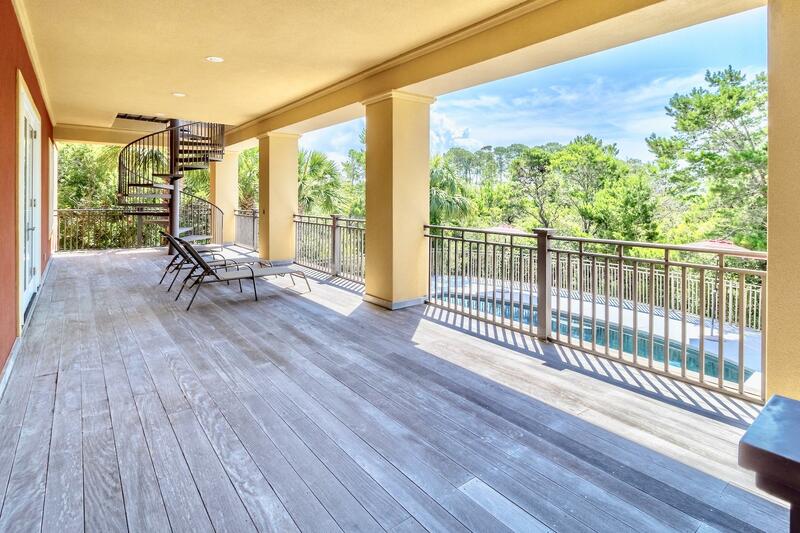 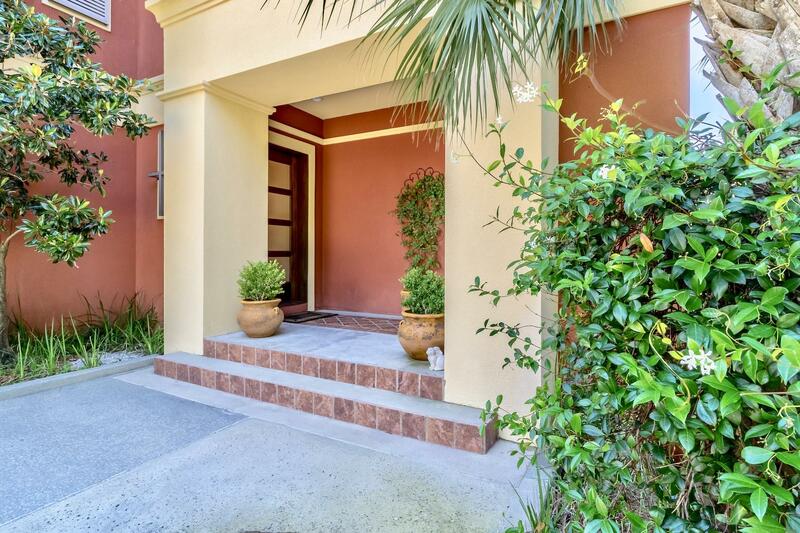 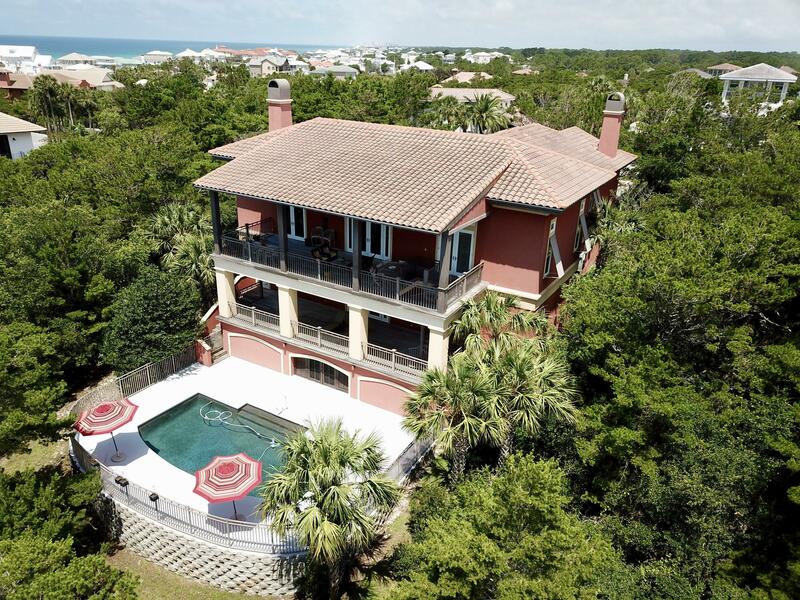 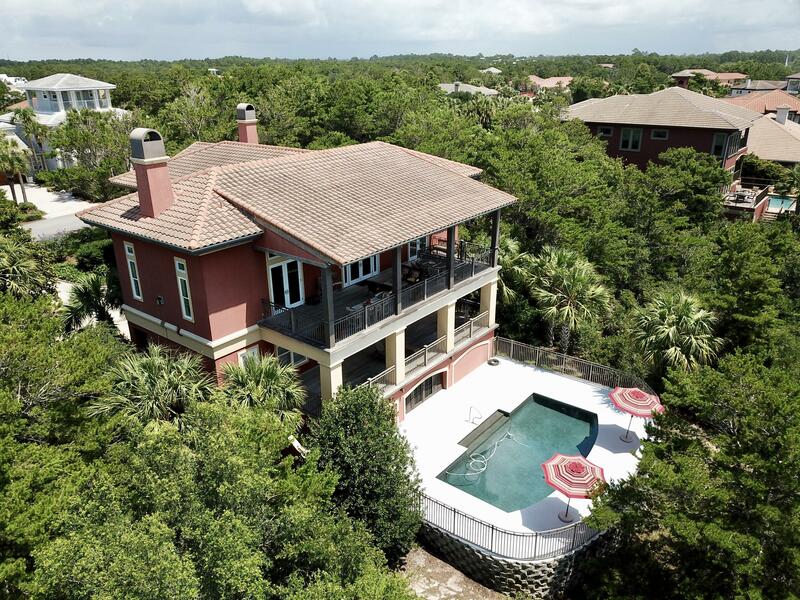 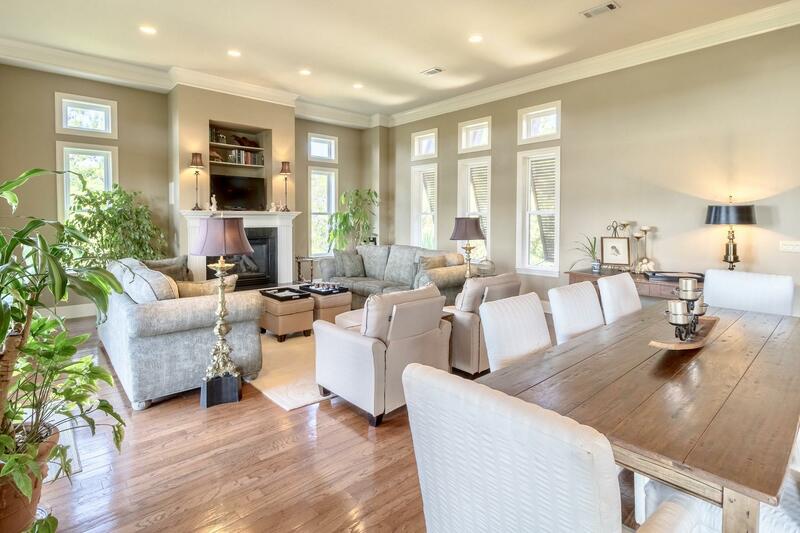 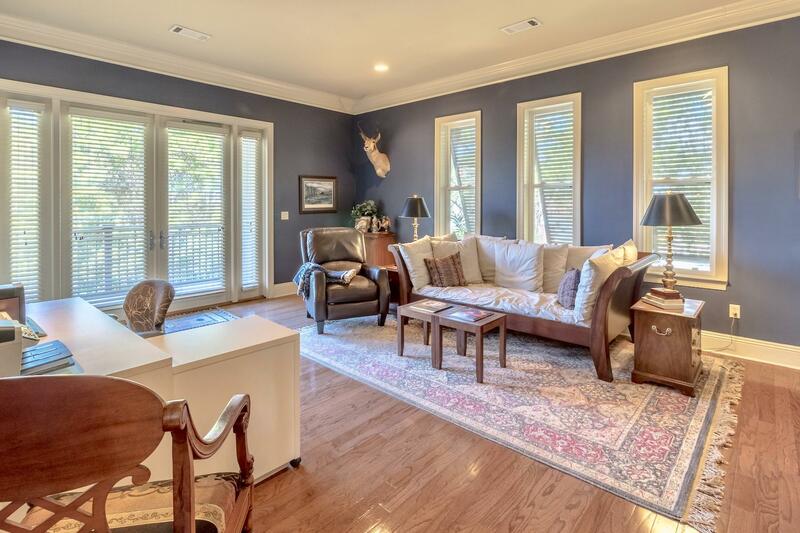 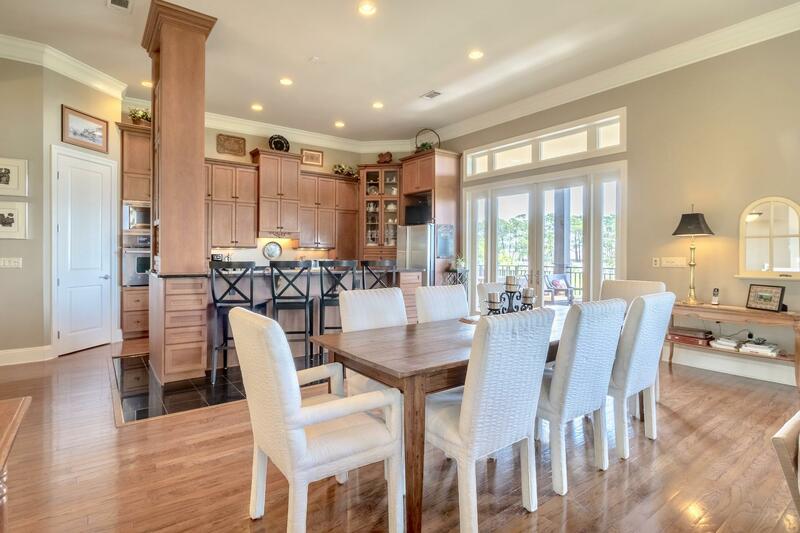 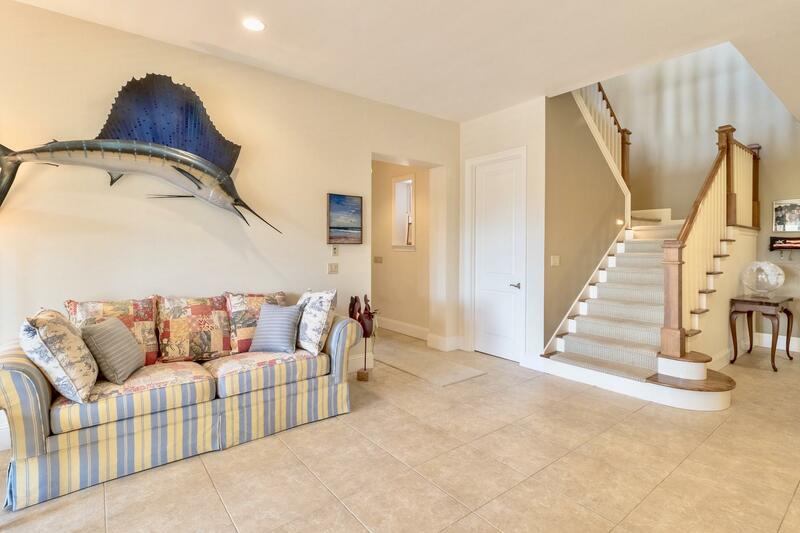 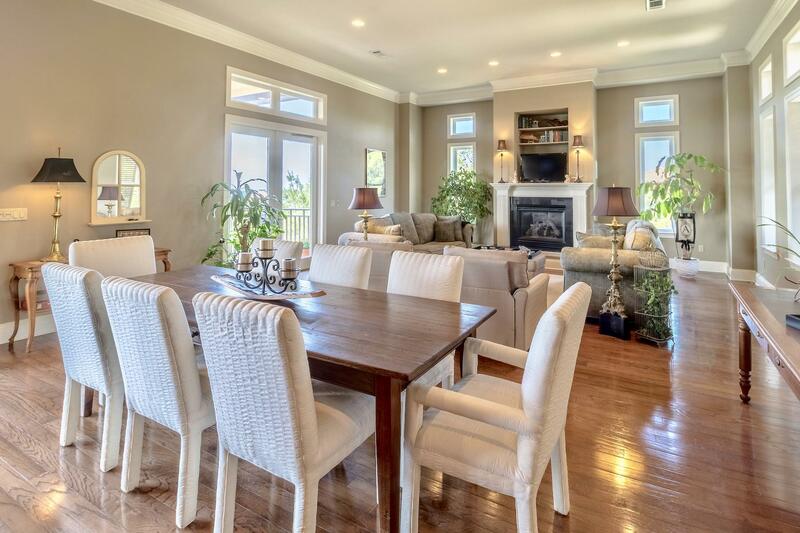 On the main (2nd) floor enjoy entertaining in the large, open great room, with two sets of French doors leading out to the deep porch with gulf views. 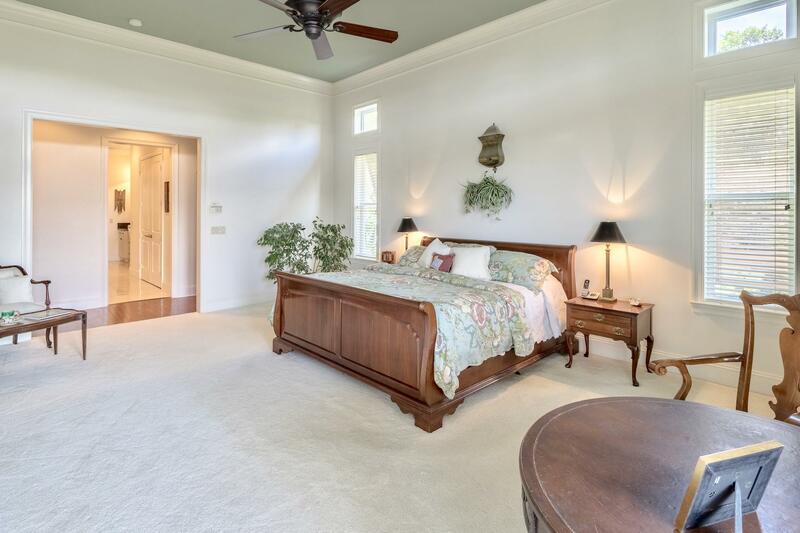 Twelve foot ceilings add to the openness of the main floor. 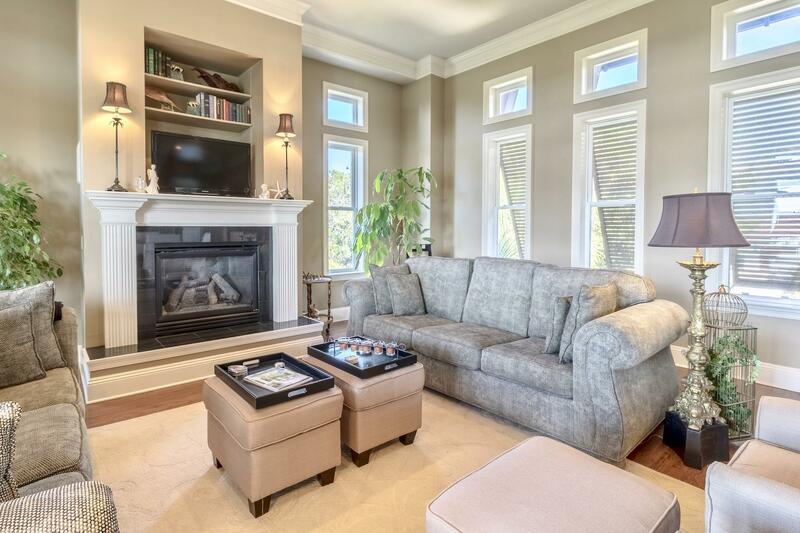 The great room has a gas fireplace. 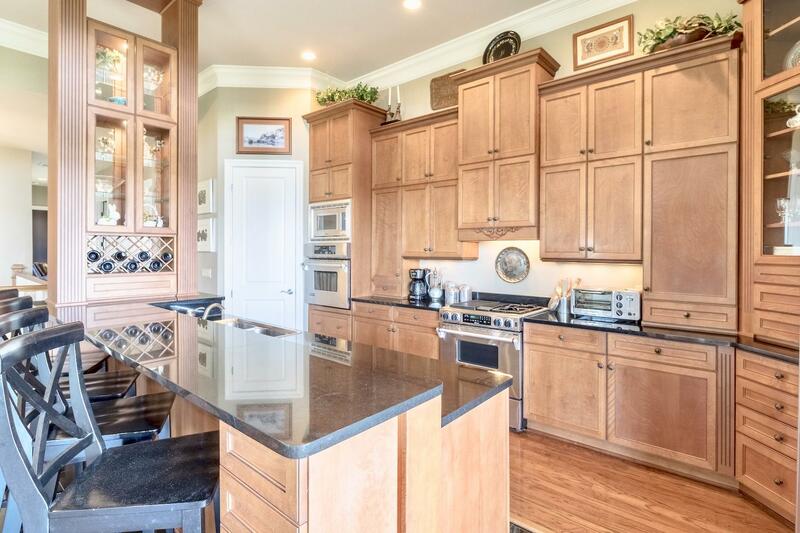 Lots of cabinetry, upgraded stainless steel appliances (Bosch, Jennaire) and granite counter tops can be found throughout the kitchen. 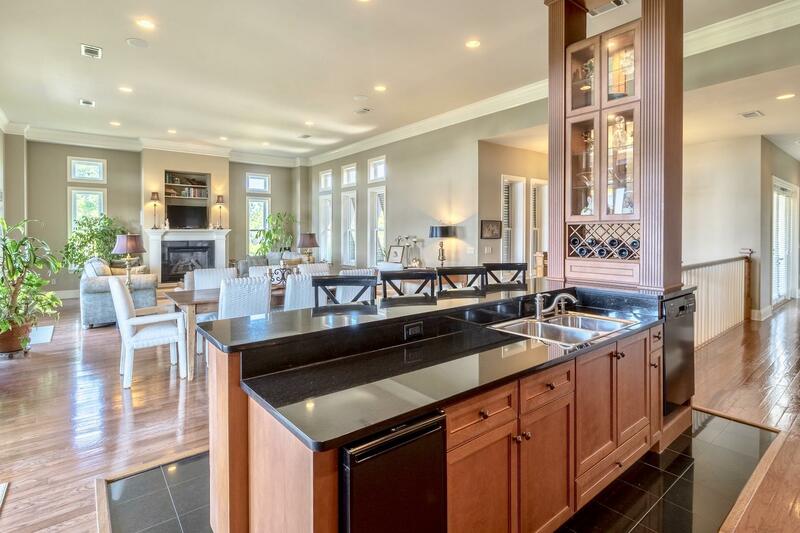 The kitchen cabinets are made of Northern Red Birch with Zimbabwe black granite countertops. 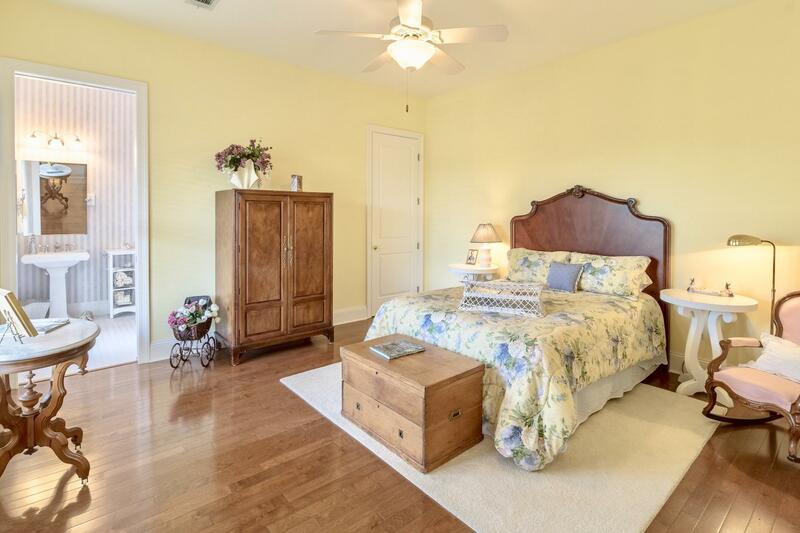 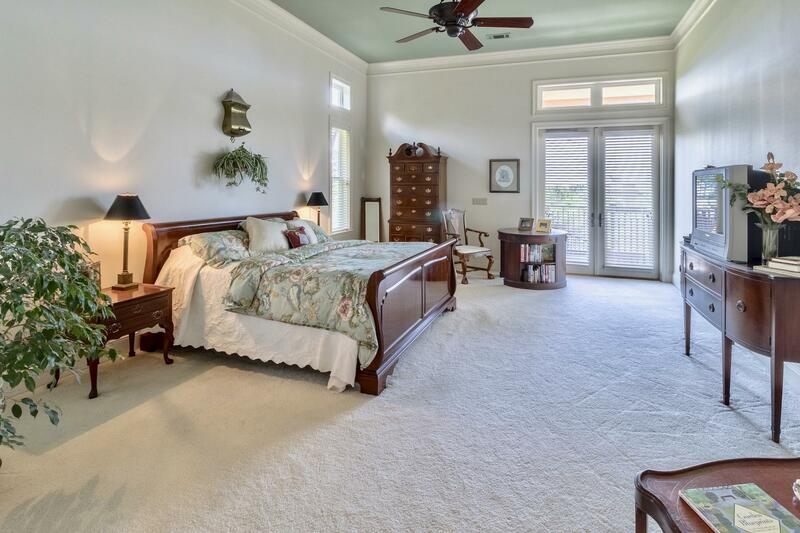 The master bedroom has gulf views and flows through to the master bath with walk in, cedar closets. 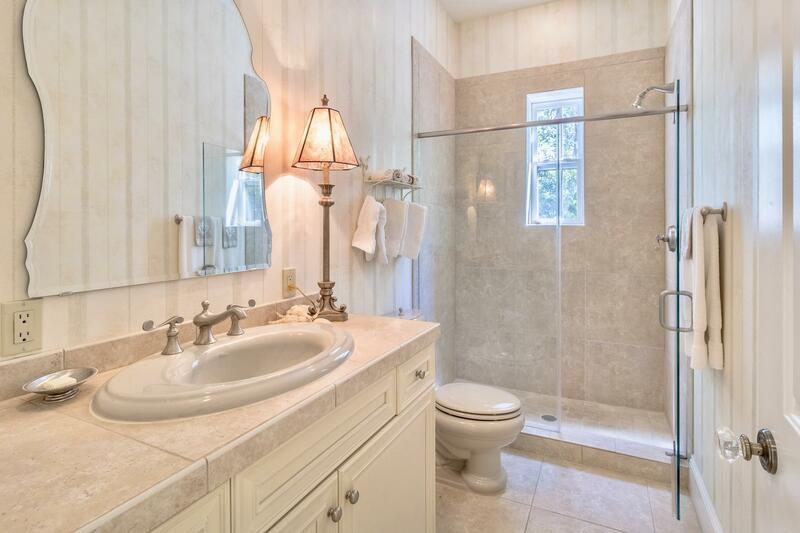 The master bath then continues to connect to the office, which also has a gulf view and a wood burning fireplace. 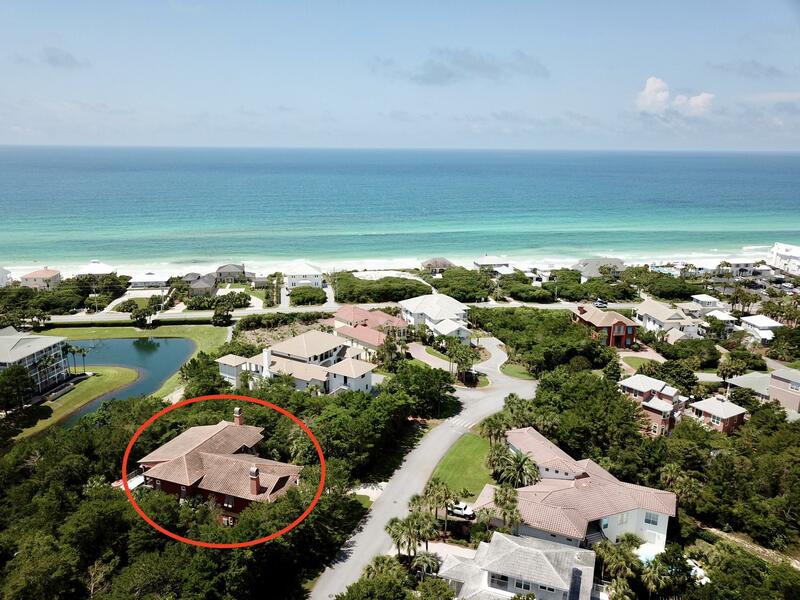 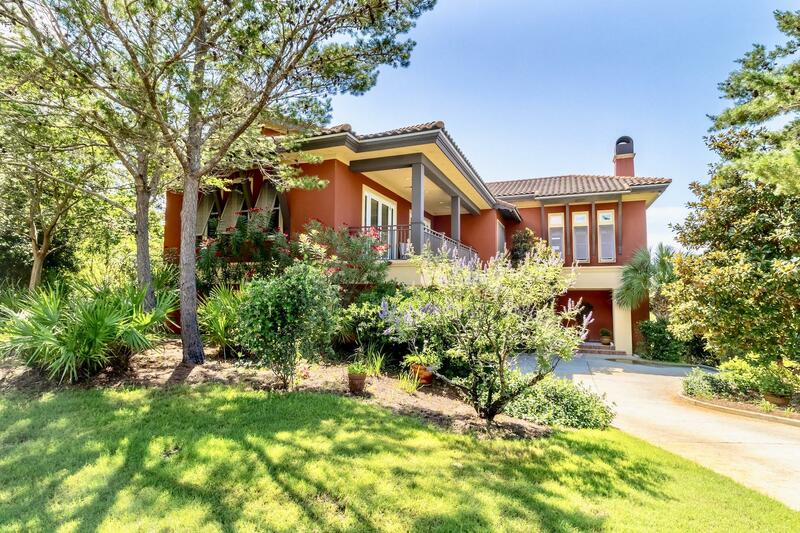 The total area of this home, including the porches, decks and a 2.5 car garage, is 6,710 sq. 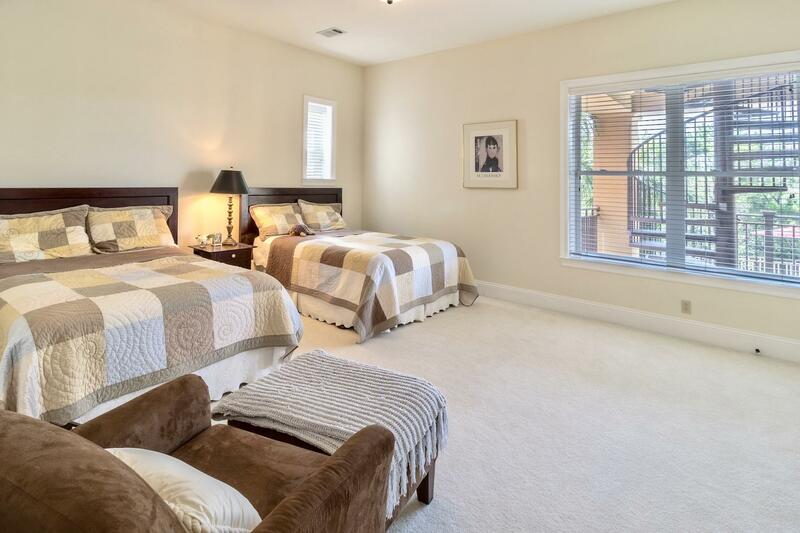 ft. with 4,175 sq. 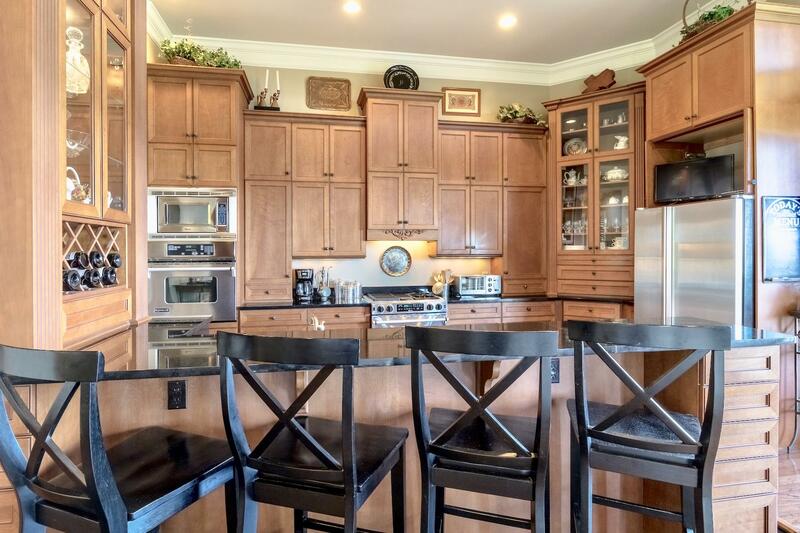 ft. being heated and cooled. 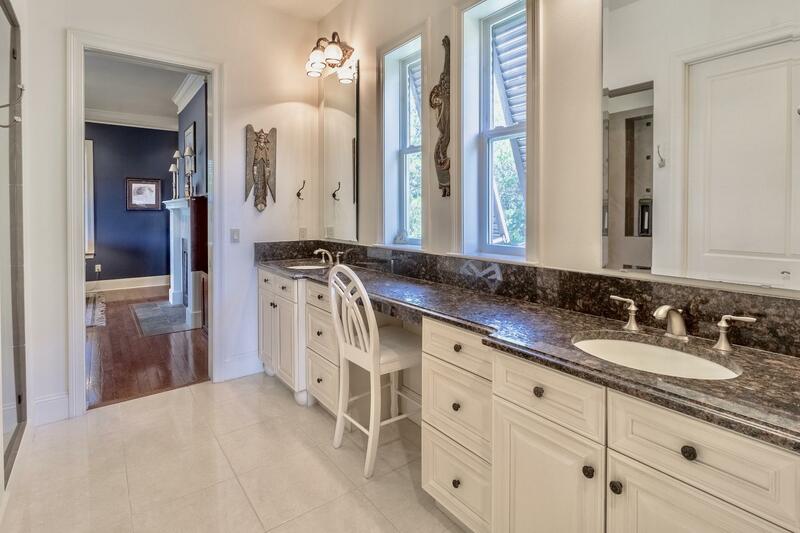 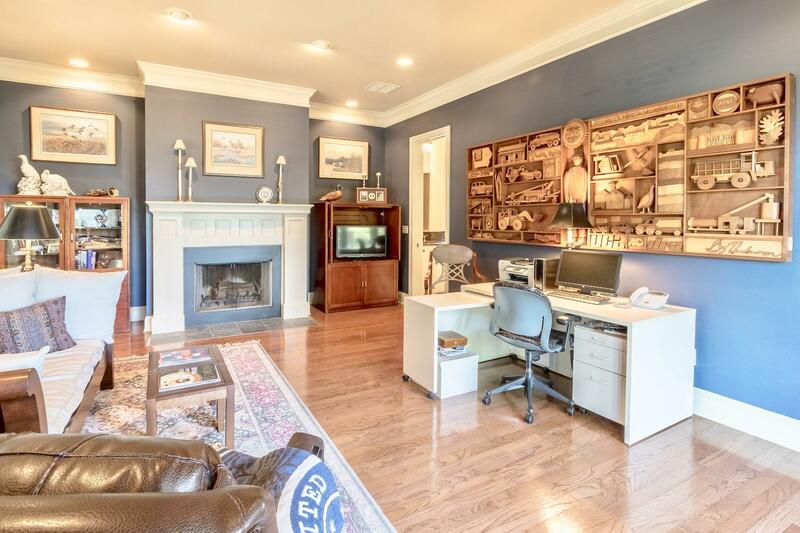 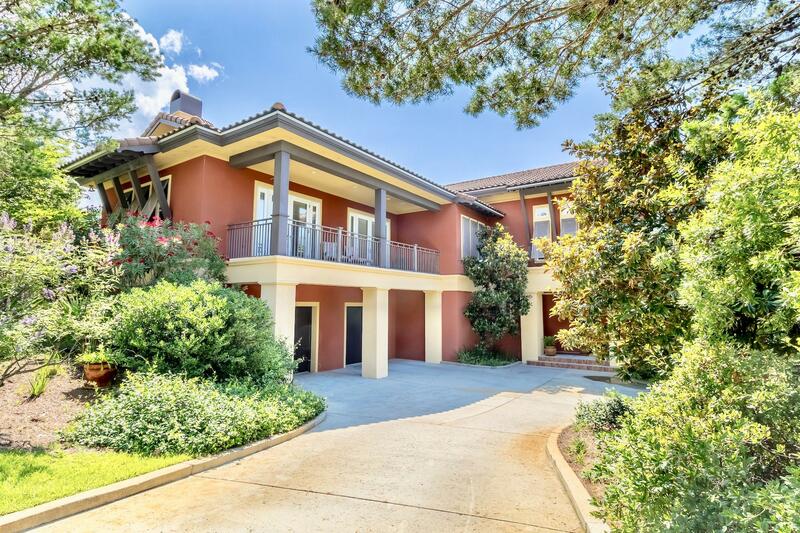 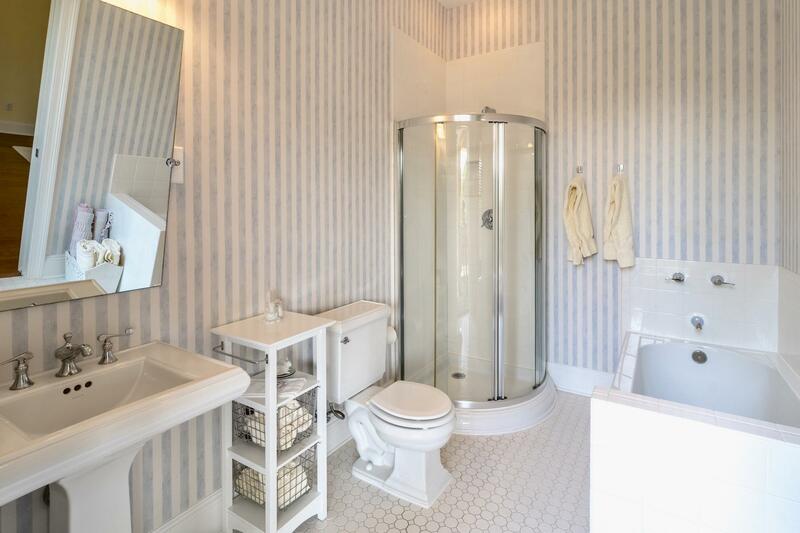 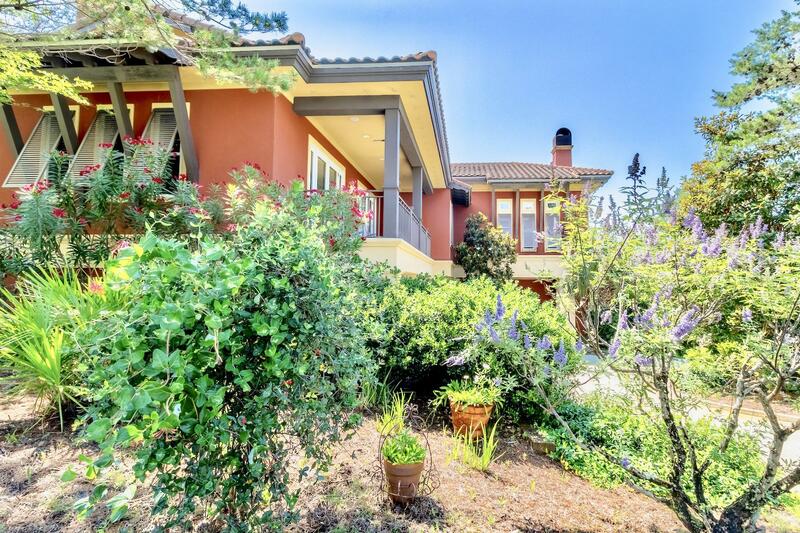 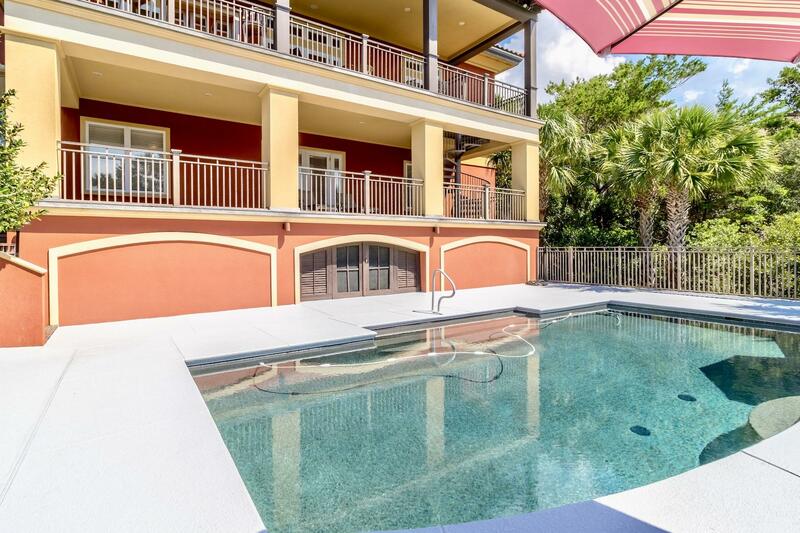 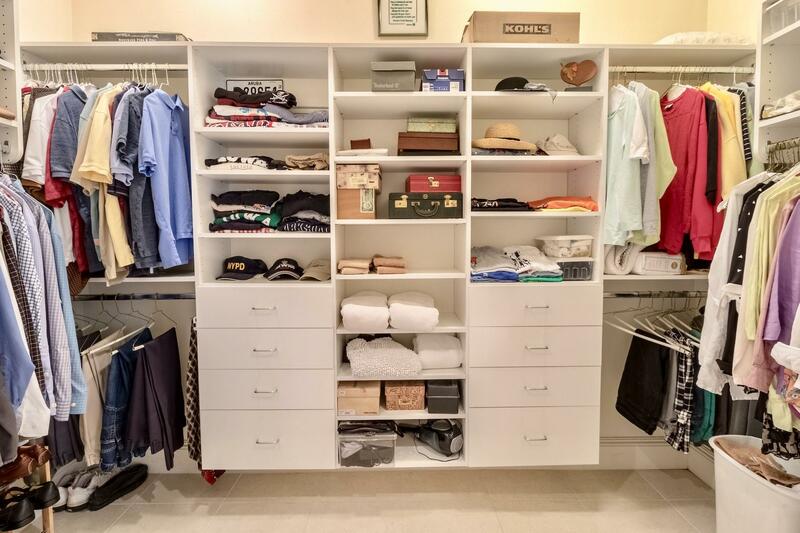 This home boasts 3.5 BAs, 3 large BRs, plus an additional bunk room and a huge office. 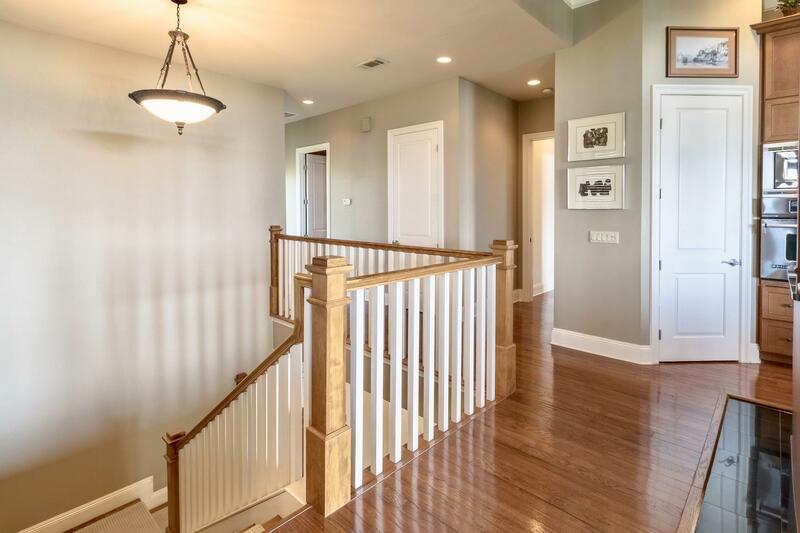 The house is designed with elevator shaft rooms (with working mechanisms in place) but the elevator itself has not been finished. 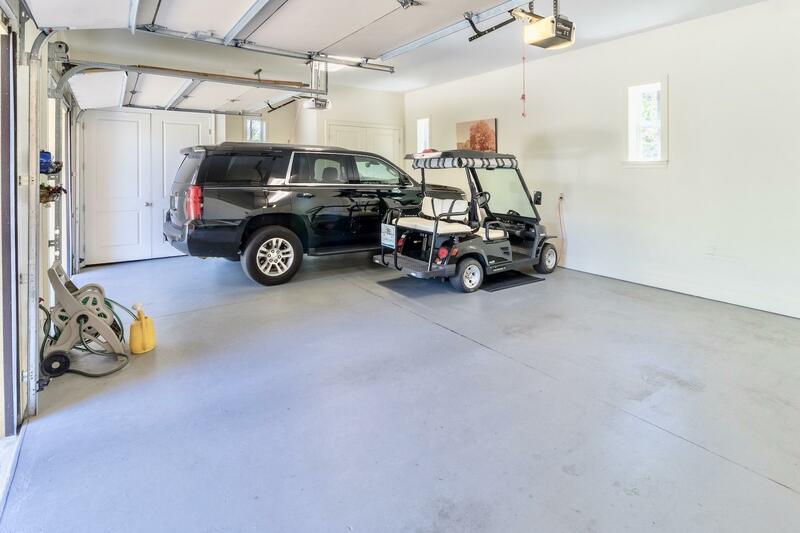 There are many additional storage rooms available throughout the house and in the garage. 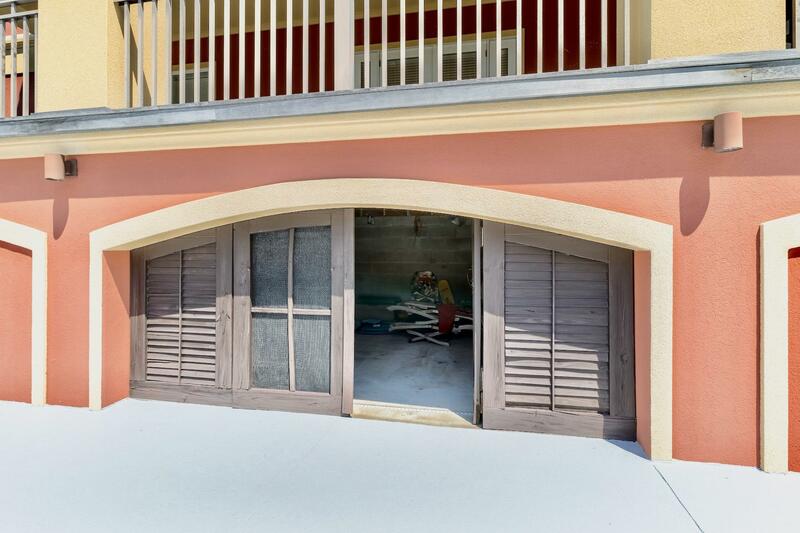 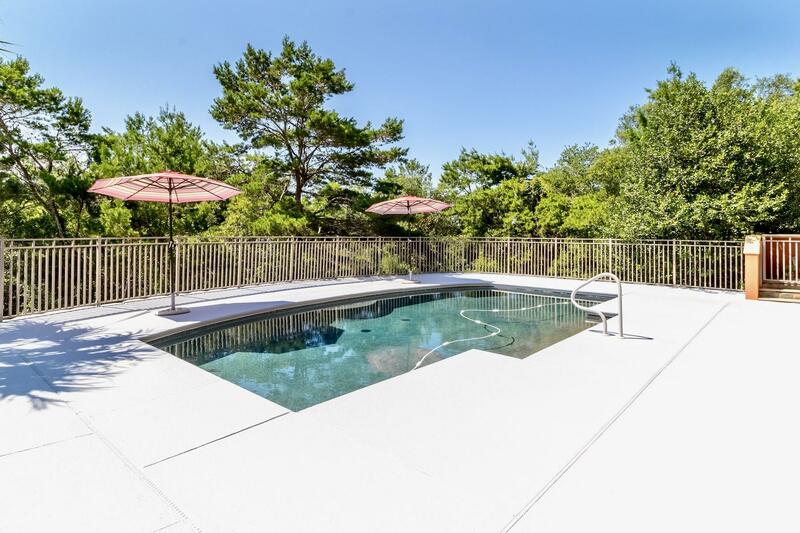 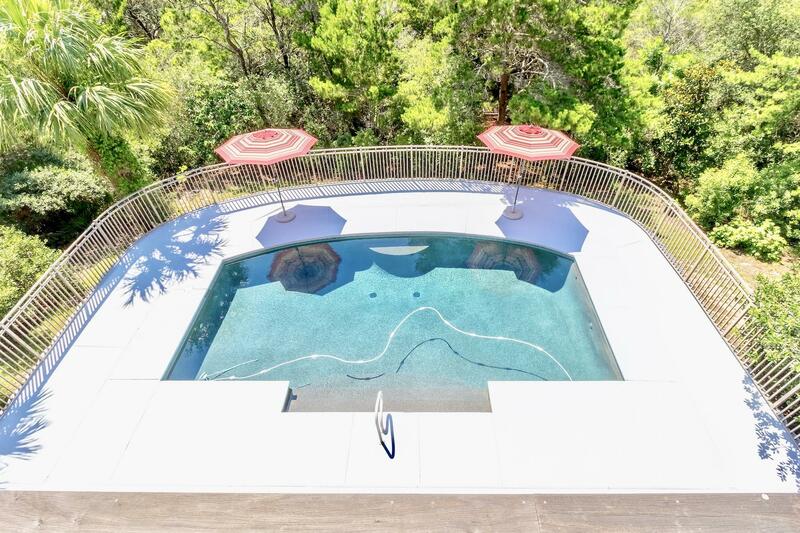 Especially helpful is the basement storage on the pool deck level. 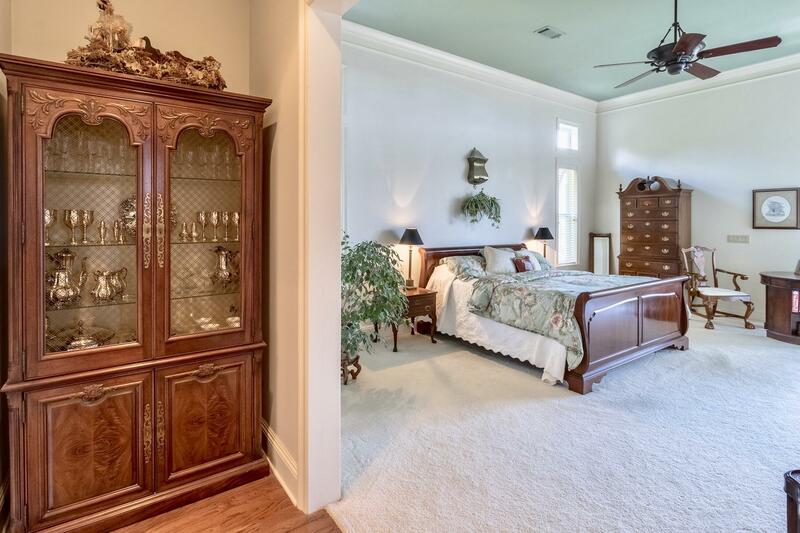 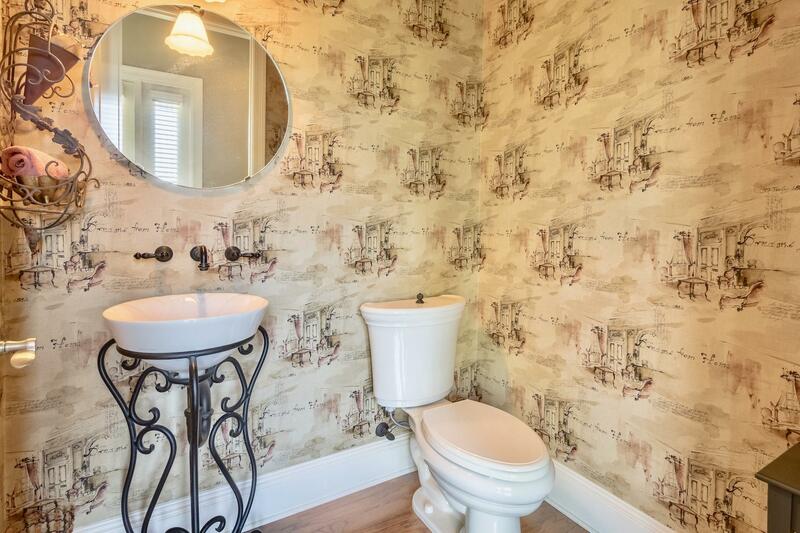 Home is being offered partially furnished with a list of exclusions available.